Question: What makes a Tennis Match Memorable? Wimbledon is upon us and we are deep into the business end at SW19. In many ways this year has been a memorable one, not simply because of the high level of tennis matches but also for the drama that has surrounded the great stories of some of the greatest players. People from all over the world travel to see this grass court tournament recognized worldwide as the most important grand slam to own. Perhaps you were one of the many who made the tennis pilgrimage? Many people take advantage of tours such as the Wimbledon Hospitality tour package to cross off their bucket list of must-experience tennis events. We have to lead with Roger Federer returning to his favorite surface which he calls “home.” Having won the tournament a record 9 times and accumulating a grand slam tournament total of 20 wins, Roger was seeded No 1 and by all accounts had one hand on the trophy until the quarterfinal round when he met Kevin Anderson. Federer had not lost to Anderson in their first 4 meetings and it seemed a foregone conclusion that the Maestro of Switzerland would move on quickly through this round to his semi-final birth. Enter dramatic plot twist stage right! Roger took the first two sets quickly and as expected. The third set was a turning point and as if on cue for a dramatic tragedy, Roger Federer’s forehand exited Centre Court. As a tennis fan I believed that even though the Swiss champion began spraying balls and making unforced errors, he would eventually find his way. I even tweeted to the Federer faithful not to panic because “champions find a way.” The expectation that Roger Federer would win his 21st Grand Slam title and the belief and hope for a win is what makes matches memorable. It is this expectation and longing which makes winning so sweet. It is this same expectation and the failure to achieve the dream scenario which tears at the heart of fans and makes sport the uncontrollable passionate emotion that leaves the hopeful in a fetal ball of tears. In many sports like Basketball, Baseball and Soccer, data is analyzed and crunched to show the probability of the outcome. Betting houses around the world use this data to predict and capitalize, but in the world of sports, all bets can be literally off the mark. Emotion and surprise rule the roost in the world of sports and it is those very human emotions of joy and pain that ignite our hearts and burn into our memories. No doubt the second most memorable match of Wimbledon this year has been the record-breaking, semi-final match John Isner versus Kevin Anderson. This match was on a lower plane of expectation as it begun but grew into one of the most challenging outcomes in history. The match ended after 6 hours and 36 minutes due to a rule in tennis which dictates that the final 5th set would not have a shortened tiebreak as you would find in doubles, the singles 5th set must be “played out” which means you have to win by two games in a row. The challenge occurs when you have two monster service machines who can rain down aces upon their opponents protecting their service games and making it impossible to win. Similar to the battle of good and evil Jedi which bring balance the force of Star Wars, these service games seem endless contests of two masters of the art f serving. The match contorts from an elegant lawn tennis display to a brawl of who will break concentration first. In this case, it took 42 additional services games after 6-6 ( i.e 7-7, 8-8, etc) for the match to end. The duration of the match made history as the second longest match in Grand Slam history in the Open Era and the longest semifinal in Grand Slam records. John Isner did not walk away without accolades as he broke the record for most aces at a grand slam event with 214 rockets fired hitting their target. What makes a tennis match truly memorable may depend on the emotional investment you have in the match and can be truly personal in nature. After the Federer loss, I find it hard to approach twitter or youtube for fear of continuing the disappoint and sadness of loss. Eventually, the emotion gives way to new hopes and new expectations and thus sport and specifically tennis fill our memory cells with moments that stay with us long after the final score has been pronounced. 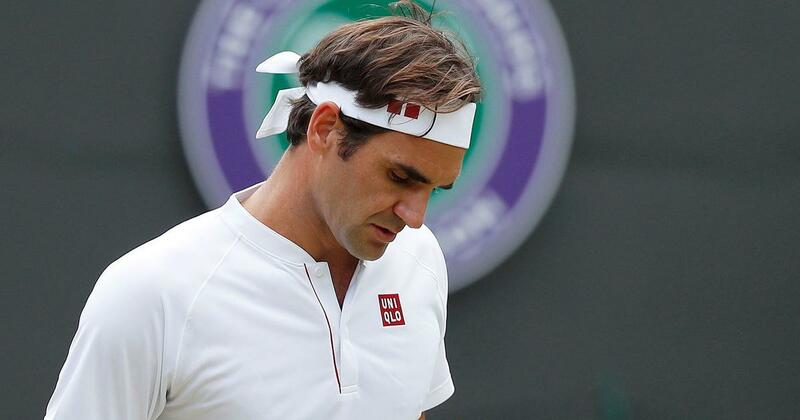 What made this year’s Wimbledon memorable for you? Leave a comment below! ECO Pedal Powered Tennis Ball Launcher VIDEO – Innovate or Die !